Parenting tips, Crafts, Product Reviews and More! If you are are tired of your bag slipping off your shoulder let me introduce you to the invisible non-slip shoulder strap solution….the Strap Gummy! This gender neutral invisible strap is easily applied to the underside of the strap of any bag to create a non-slip solution! Using the strap gummy is very easy. You open the package of 6 and remove 2 for your bag. 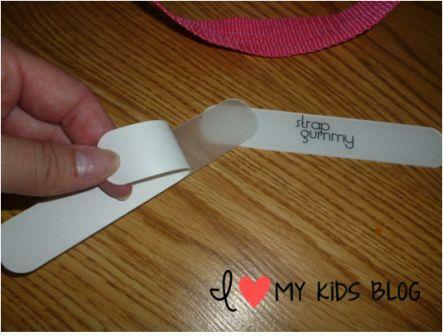 Then peel off the back paper to reveal the sticky side of the strap gummy. 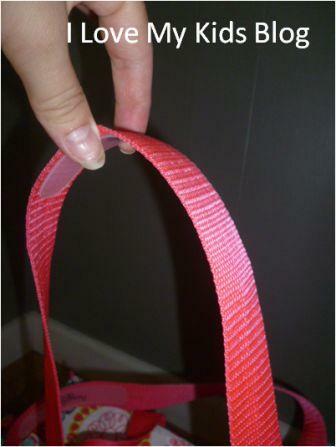 Then simply press it onto the inside part of the strap (the part that rests on your shoulder). Then do it on the 2nd strap! It is that easy! 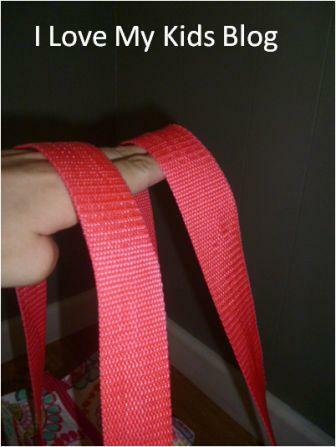 You’ve just created an invisible non-slip shoulder strap solution! 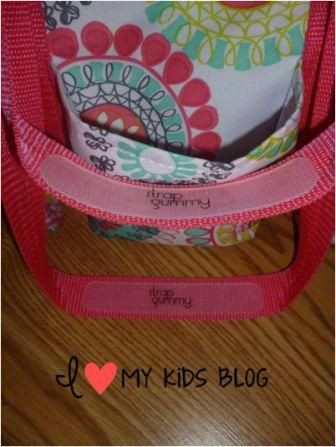 I can’t even tell you how many times in the past my arms have been full of kids when all of the sudden the overstuffed diaper bag slips off my shoulder and bonks one of them or spills it’s contents ALL over the place….has that happened to you too? Or you are walking quickly in the airport and your bag keeps slipping off your shoulder. 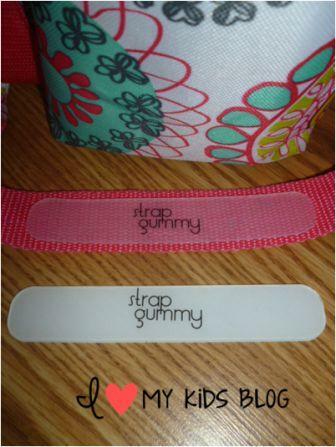 Thanks to the strap gummy I don’t have these problems anymore! Plus you can’t even tell they are there….can you see them? They are clear and gender neutral making this a great gift for anyone that carries a laptop bag, purse, diaper bag, duffle bag, and are even great for keeping guitar straps in place! They measure about 7/8 inches wide and 5 inches long. It can be cut to fit narrower straps if needed. You get 6 strap gummies for just $11.95. Shipping is free for the US and only $3 for anywhere else in the world. Affordable and practical! Not only does this create a non-slip solution for your shoulders, but it also keeps bags in a stationary position, like the back of a chair. The Strap Gummy has a a sister brand called the Purse Gummy that I have been using on my purses for over a year and a half! I am a huge fan of these products! 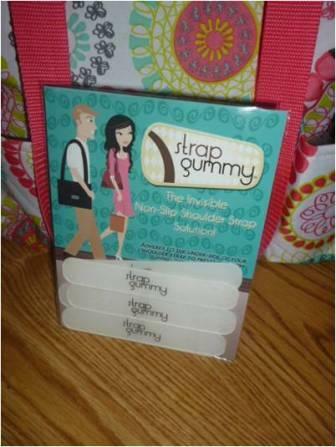 Strap Gummy wants to give one of my readers a chance to try out their product for FREE! To enter to be the winner please fill out the Rafflecopter form below. This giveaway will end on August 19th at 11:59 pm EST. This giveaway is open world wide. The winner will be drawn at random and emailed. They have 24 hours to reply or a new winner will be chosen. GOOD LUCK! Congrats to: Barbara Riffe, Barbara you have been emailed and have 24 hours to reply or a new winner will be chosen. Thanks to all who entered! Disclosure: I was given a sample of the product to review so I could gain an honest opinion to share with you. Regardless of this arrangement, the views expressed above are my own and had no influence over what is written in this post. I think this is a very cool idea, thanks for the chance! Pretty neat product! I think these will come in handy, especially when carrying large handbags. Why didn’t I think of these?!?! I’d like to try this for some of my bags. I’m wondering what it would look like and how it would work on thinner straps. Awesome idea. The like leather handbags and they are always slipping. These would be great to use, especially if they work for heavy bags. Thanks for the chance to win! I like this idea very much! I think that it’s ideal for those times when your arms are full and you don’t need the strap falling down and sending you off balance! love the clear straps – easy to hide. great for the pool bag and even a few purses! I think these were invented with me in mind; how many times does one have to keep putting the purse straps back onto your shoulder before it is enough! LOL. So neat, I would love to win some of those. That is a genius idea! I get so mad at my purse strap falling, especially when my hands are full of grocery bags or small children. This would be a great help! Seems like an innovative idea!